Looking for a great deal on a self storage unit? At U Can Store It we specialise in student storage with units from just $40 per week. 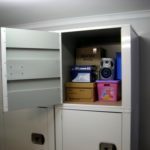 Fit the contents of your room or a whole flat in to our safe, secure units. We have a complimentary trailer, boxes and a removalist who can help get your goods here. Best thing is we are walking distance from Varsity Train Station and only 3.5km from Bond University. Take a look at our student page for our STUDENT Special.